The appearance of the first holiday lights of the season signal that Christmas is well on its way. And although it may be a family tradition to excavate the tangles of mini light strands from the basement or attic, it’s also an unpleasant task. Inevitably some of the bulbs are burned out, you lent the ladder to your cousin Jerry, and it just started snowing. 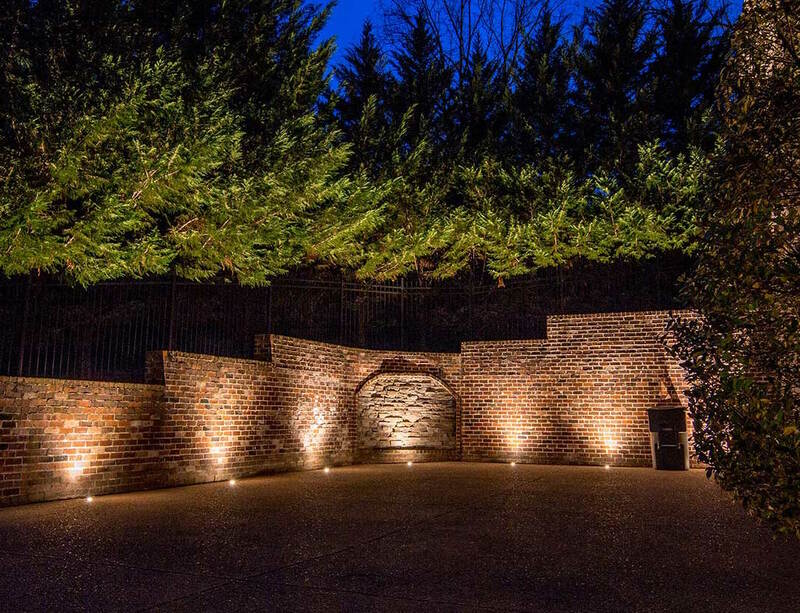 Sounds like you need an outdoor lighting professional! 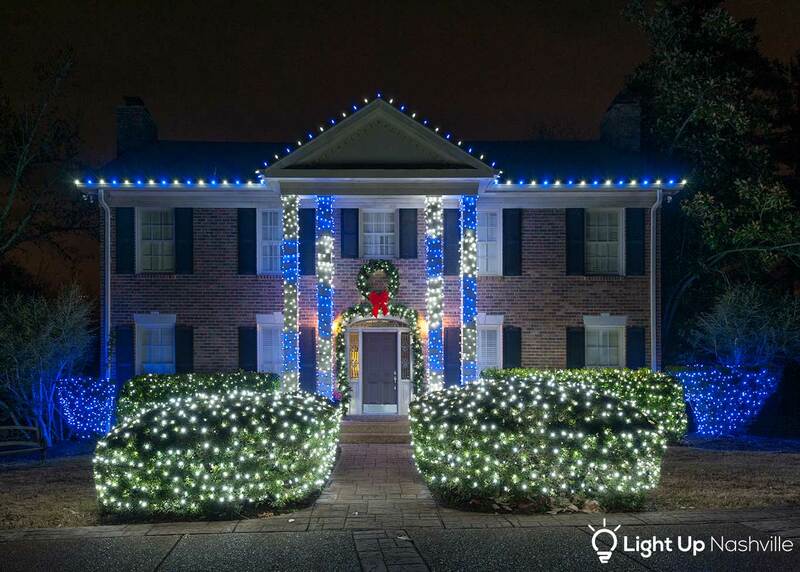 Here are 5 reasons to hire a professional lighting service this holiday season. 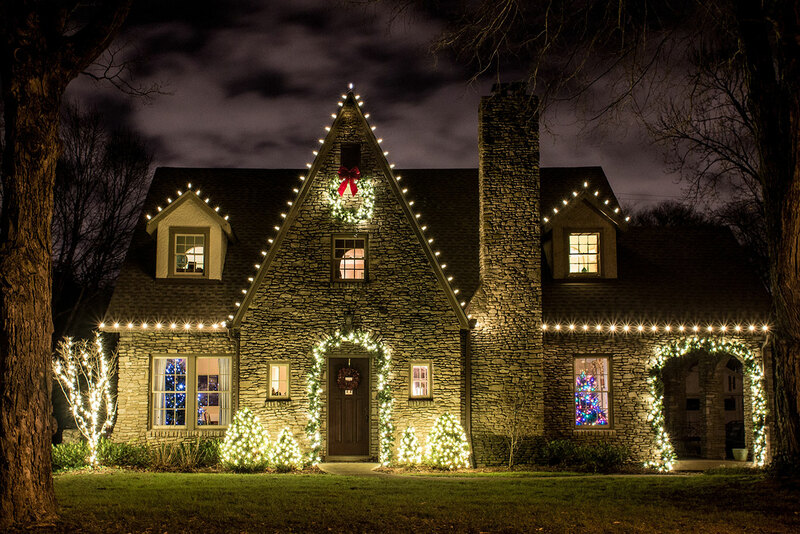 A family's holiday lights are usually several seasons old, with bulbs that need to be replaced every season. Even if you recently overhauled your display to newer LEDs, the ones they sell in big box stores like Lowe's or Home Depot are cheap, flimsy, and not meant to last for any length of time. All of the holiday lights we sell are top of the line, commercial grade LEDs, only available to purchase by businesses. 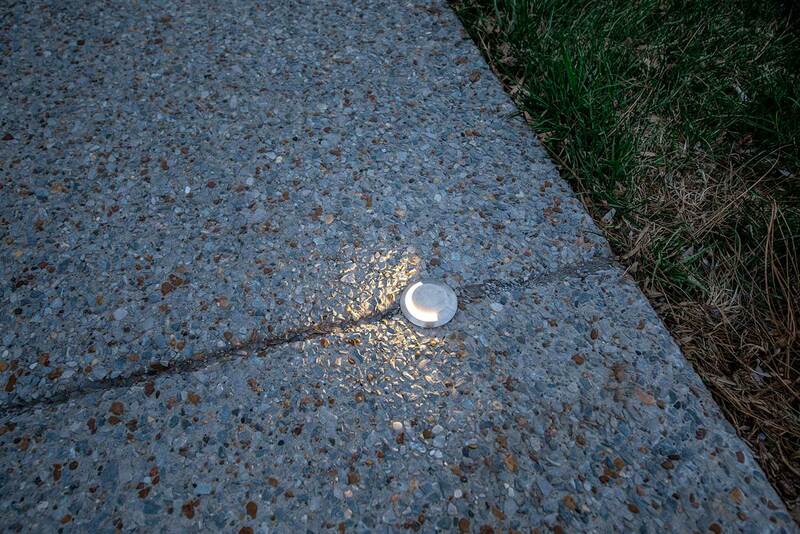 All our lights come with a 5 year warranty and boast over 75,000 hours of burn time; most last for decades. We also purchase our LEDs directly from commercial grade manufacturers, ensuring that the customer gets the best product, for the best price. 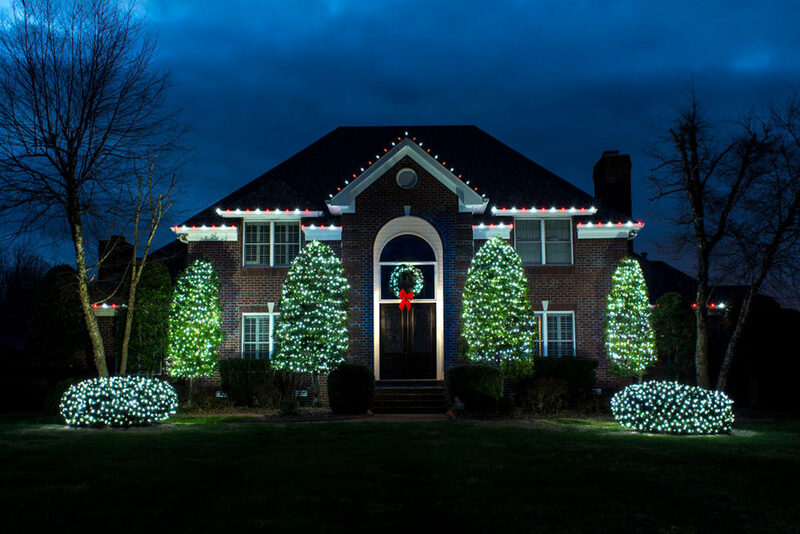 Lights lining the roofline of a home are one of the most iconic and classic ways to display holiday lights. But some homes have roof peaks as high as 50 feet, well past what an ordinary ladder would reach, and attempting to hang them on your own can be dangerous and could end in disaster. At Light Up Nashville we use certified and insured boom lifts, to safely and easily climb to any height. 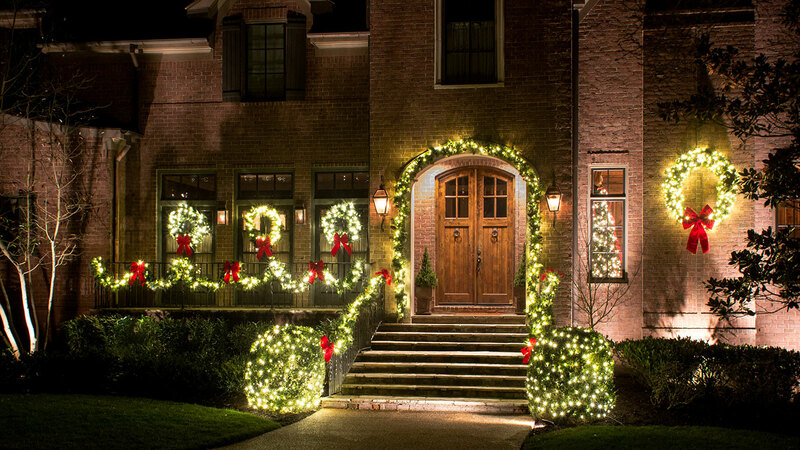 We can install lights, wreaths, garland, and more anywhere you can imagine! There’s nothing worse than pulling your lights out of storage, struggling for hours to tack them to the roofline, only to turn them on and notice half of the bulbs are burnt out. 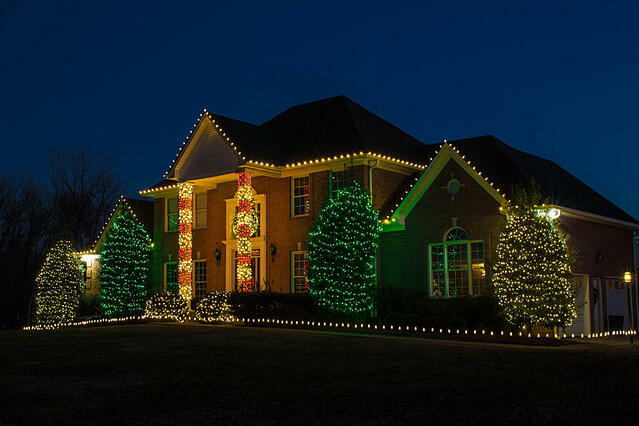 If you used a holiday lighting service, this would be a problem of the past. We inventory and check for burnt bulbs before putting them away for storage in the off season, and after getting them back out again once it’s time to install. We also will come out and replace any burnt out bulbs during the holiday season. It’s all included in our full service holiday lights package! We don’t just have and install the best quality lights for the holidays, we also have the highest quality greenery! Our mixed pine garlands and wreaths come with commercial grade warm white LED lights built in, with real pinecones and weather proof exterior. Rich red velvet bows are always included, and can be installed anywhere! 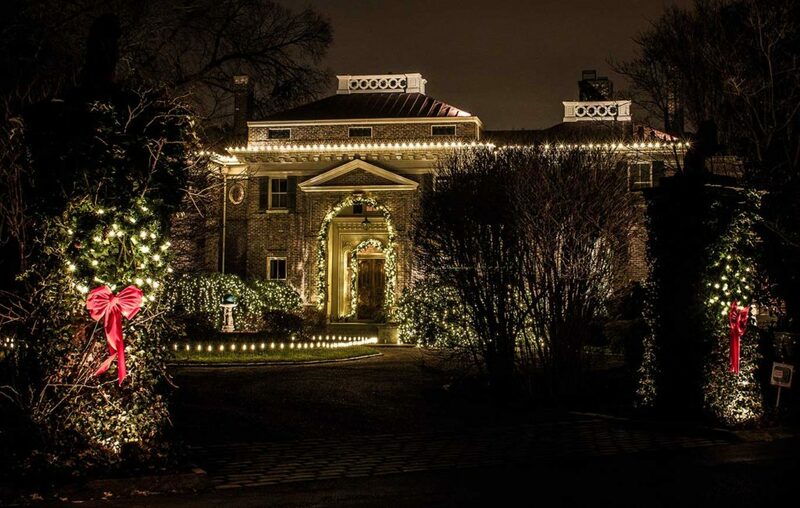 One of the biggest things that sets us apart from other holiday light installers is the thought and care we put into the design of the holiday display. We start from scratch on each and every home design we put together, using actual photos of your home to pitch a proposal that is not only unique to your home’s aesthetic, but also to your budget. Still not convinced? 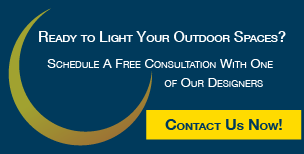 Schedule a free holiday light consultation with one of our lighting specialists!